Brazilian executives are thirsting for new techniques to help manage their country’s record-setting economic growth. This has created a robust community of strategy and intelligence professionals. 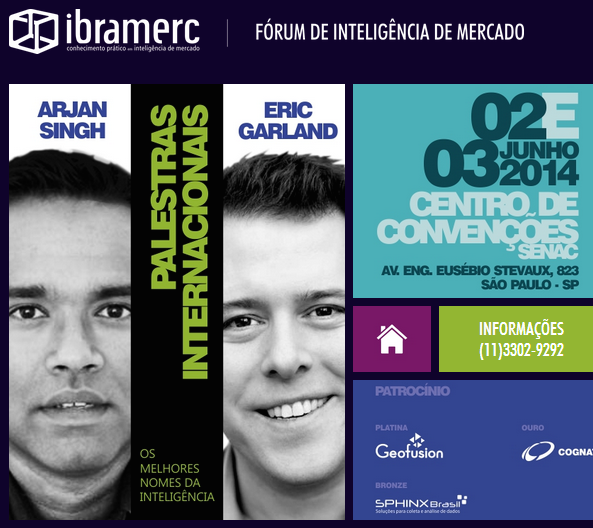 For the organization’s 2014 annual convention in São Paulo, I delivered a keynote about the future of the intelligence industry as well as an all-day executive master class on Advance Intelligence Analytics.